I really can’t explain it any better than that, but I am sure going to try for you all. 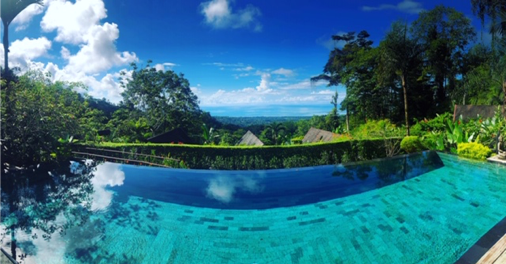 Last week, I was fortunate enough to have the opportunity to travel to Uvita, Costa Rica for work and vacation. I was staying at Oxygen Jungle Villas (we will go into detail about the resort in a little bit) but flew into San Jose. I want to go through the trip day by day because it really was extraordinary each day in different ways. First, let’s cover some logistics. ing one in America. Then, we were off for a three-hour drive to the coast. At first, I really thought the driving/road conditions would be anxiety-inducing and crazy, but it reminded me of Los Angeles. Sure, there was some traffic, but Waze (GPS app) works in Costa Rica and despite some aggressive drivers it really is not that big of a deal. We were smooth sailing. 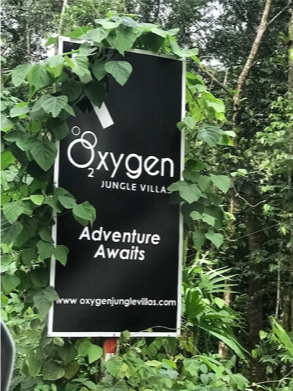 Once we arrived in Uvita, we were faced with finding our resort: Oxygen Jungle Villas. It was up a windy and very bumpy road, it was really fun to find in the heart of the jungle. 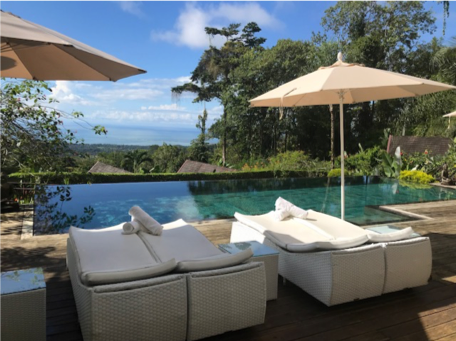 Our hotel consisted of 12 villas, some ocean-view, and some jungle view. Mine was a jungle view villa. It was about a block into the jungle and surrounded by nothing but trees. 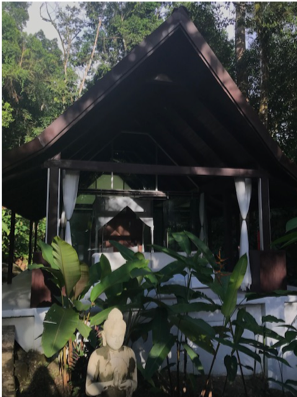 It was all glass (with curtains on the inside for privacy) and was the most beautiful and secluded little house you could imagine. The front desk hosted the spa, the infinity pool, some pool layout chairs, and the restaurant. It was so petite, and yet everything you could possibly need was there. The landscape was immaculate, too. The housekeeping and grounds keeping was elevated. The entire property was beautiful. 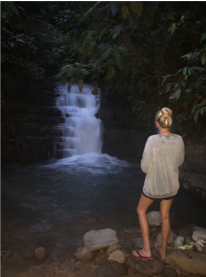 I hiked around the villas to the waterfalls and river trails, too. There was just so much to do! After we checked-in we spent the first day getting acclimated. Don’t be fooled though, there was zero rest after that first day. It was amazingly nonstop. We woke up and started each day with coffee and green smoothies from Roy, one of the incredible resort staff. The first day we went zip lining and swung through and over the entire Jungle. Then we hiked around the ocean and took a swim. The water was super warm and the sand felt like velvet. I was shocked. The food throughout the entire trip was delicious. Everything was fresh, everything was inexpensive, and you could taste the love in all of the dishes. The chefs really care about the taste and experience of every dish. 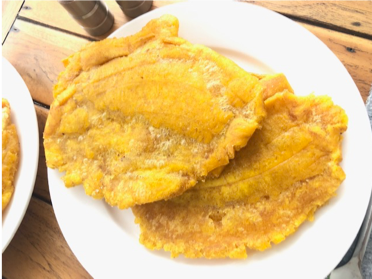 My favorite was the fried green plantains, they tasted like crispy on the outside soft on the inside potato pancakes. Yum! I had a lot of meals that included salad, rice, beans, plantains, and some sort of meat. I am obsessed with the food there. I repelled down six waterfalls on this day. It should be known that all of the “tour” guides and excursion leaders are super knowledgeable, super safe, speak English, and are so fun. I was nervous, but we practiced on a baby waterfall, and I controlled my own break so I felt confident. It was beautiful, challenging, and a true adrenaline rush. After the repelling tour was over, we drove through the jungle and saw some sloths! They were super cute and some even moved around for us. Then, we had a yummy beachside lunch and returned to the hotel for a photo shoot. I had booked a massage that afternoon, and when it started to rain I was in pure heaven just listening to the rain at the spa. Incredible! I spent the night exploring five or six restaurants and bars around town just living in the nightlife. By this day I was pretty tired, but I was the most excited to go on our ATV tour. We were taking photos on the ATVs, but mostly just touring through the entire jungle for four hours up to waterfalls, a coffee plantation, a grocery store, and a bunch of bumpy trails! I was super sore after the ATV tour, the most tired I can remember ever being at two in the afternoon, and so happy. We ended the tour by jumping into a waterfall and sliding down the rocks into the pool below. It was too fun. We had to climb to the top, too, so there was quite the energy expenditure. This night, we had to drive back to San Jose, stay for one night and then fly home the next morning. It was the best trip. I did not want to leave. If you ever have the opportunity to visit Costa Rica, do not hesitate for one second! It is incredible!